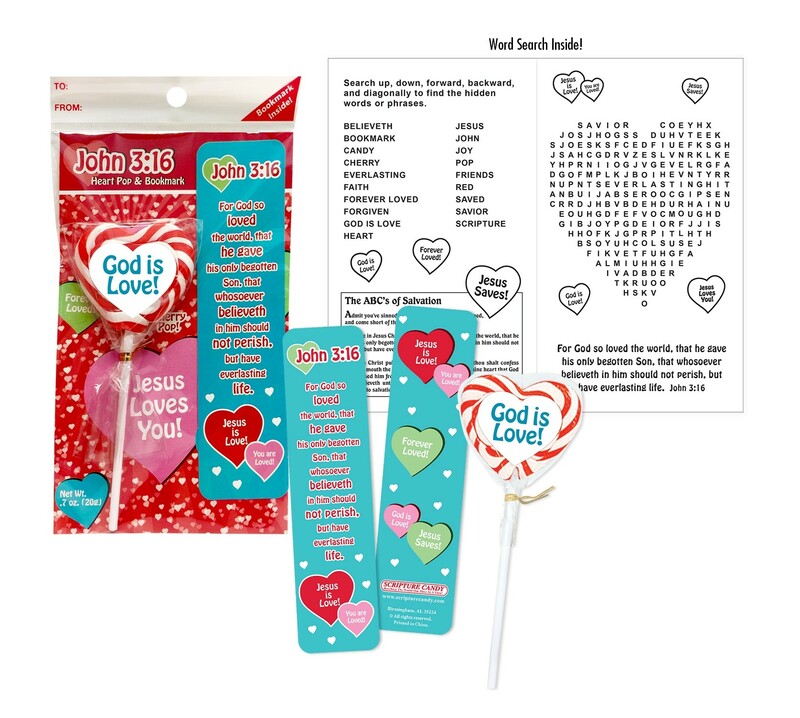 Each Christian Candy Lollipop set includes a cherry-flavored swirl heart lollipop and a full-color bookmark featuring “John 3:16.” Scripture Pops are wrapped in the “God is Love!” theme. Makes a great Valentine’s Day gift. Manufactured in a facility that processes products containing soy, milk, egg, wheat, and peanut/tree nut ingredients. © 2019 Christian Candy Shop is a division of Christian Expressions. All Rights Reserved.